Prominent & Leading Manufacturer from Pune, we offer metal radiator grilles for homes. With an aim to stand tall on the expectations of our esteemed clients, we are providing Metal Radiator Grilles For Homes. The offered radiator grill is checked on numerous parameters so as to deliver a defect free range. This radiator grill is demanded for interior decorative use in radiator covers, cabinet and bookcases door inserts. Offered radiator grill is available in various specifications to meet the needs of the customers. 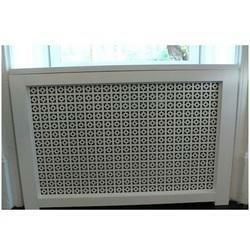 Looking for Metal Radiator Grilles for Homes ?